Archer Daniel’s Midland Company also popular as ADM Incorporation is commodity trading and food processing corporation. Headquarter of the organization is in Decatur Illinois. The organization operates approximate 420 crop manufacturing facilities and 270 individual plants across the world. In these individual plants, the company produces oil seeds and cereal grains that are further used to produce different beverage and food items. Products manufactured by the company are being used by other food manufacturing brands across the world. At present, approximately 30,000 full time employees work in this organization. Patricia Woertz is the present CEO and chairperson of the organization. 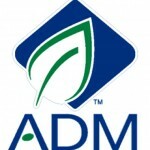 There are currently 0 consumer reviews about Adm available. Share your review. Please take a note that you are about to post a public review about Adm corporate office on CorporateOffice.com. This review will be public, so please do not post any of your personal information on this website. If you would like to contact the corporate offices of Adm, please use their contact information such as their phone number, website, and address listed above to contact them. However, sometimes staff from Adm headquarters do read the reviews on this website.